At F-Secure we are committed to help people and corporates to do business free of worries about cyber threats and risks. It is our undertaking to deliver the most innovative state of the art cyber security products and solutions to our customers world-wide. Our world-class security top experts work hard to create best products, solutions, and services for our customers. 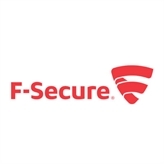 F-Secure Corporate Cyber Security R&D unit develops and delivers products used by F-Secure B2B partners and end customers. We are a flat and agile software R&D organization consisting of software developers, Test Automation (TA) specialists and software architects. We are a multi-site & multi-cultural team of passionate fellows, we see diversity as an asset. We work closely with Product Management setting high-level roadmap which then our R&D champions turn into product features and functionalities. We also work very closely with F-Secure Labs analyzing cyber threats on a daily basis in order to better understand how to beat the bad guys. F-Secure is very much a product organization, and without R&D, the majority of our B2B business wouldn’t exist. As a key player, Senior Developer has an overall responsibility of developing high quality products to satisfy our customer needs and continuously improving working processes, tooling and way of working. Excellent team player, self-confident and willing to work in fast changing environments. Dare to take challenge and be the best, as a member of F-Secure dream team? If yes, apply now, submit your CV and application. Want to get notified about new jobs at F-Secure?